Here is my entry for the StampTV color challenge this past week. 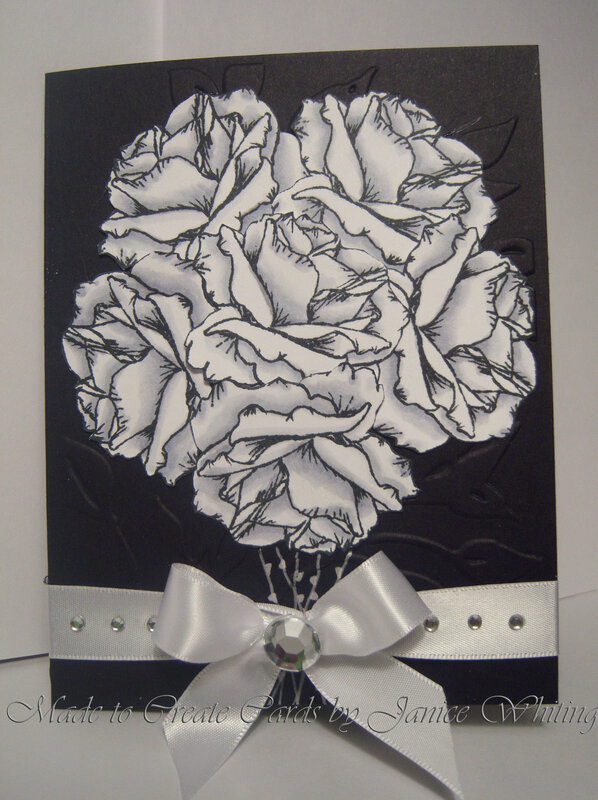 The colors were black, white and grey, so I just had to go with a more classic style of card. I used the from rose from lovely Melanie Muenchinger's A Year of Flowers set (a must have! ).